Here's one of our recent masterpiece done on our customer who requested for ask grey and pink combination for a subtle tease on her locks. Doesn't it reminds you of the last few rays of the sun setting where gloomy clouds has streaks of pink and peach peeking through them before darkness falls. Senior Stylist, Amanda working her finishing touches on our lovely customer's hair. This color is suitable for those who want to try something different but not too extreme due to lifestyle or work, it's also easy to care for as it will fade slowly into lighter hues. 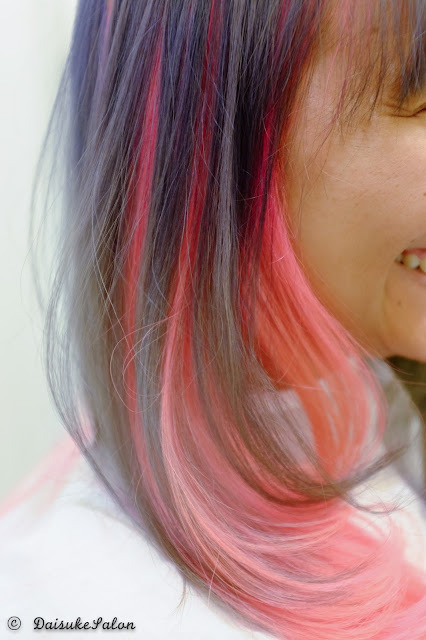 To achieve this ash color we are using hair manicure, as this only requires 1-2 rounds of bleaching compared to color butter which requires higher amount of bleaching but it's more suitable for those who wants to dye very light/ vibrant pastel colors. Not so light pastel hues and longer lasting colors we would recommend hair manicure/ color treatment. Color butter - Suitable to achieve pastel colors but need to bleach more than 2 times for the pastel colors to show nicely. 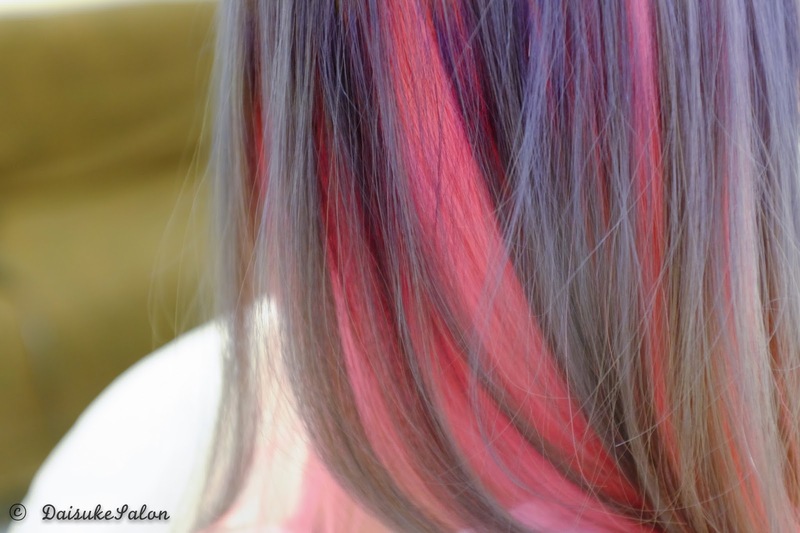 Easiest to change color as it doesn't stains the hair. 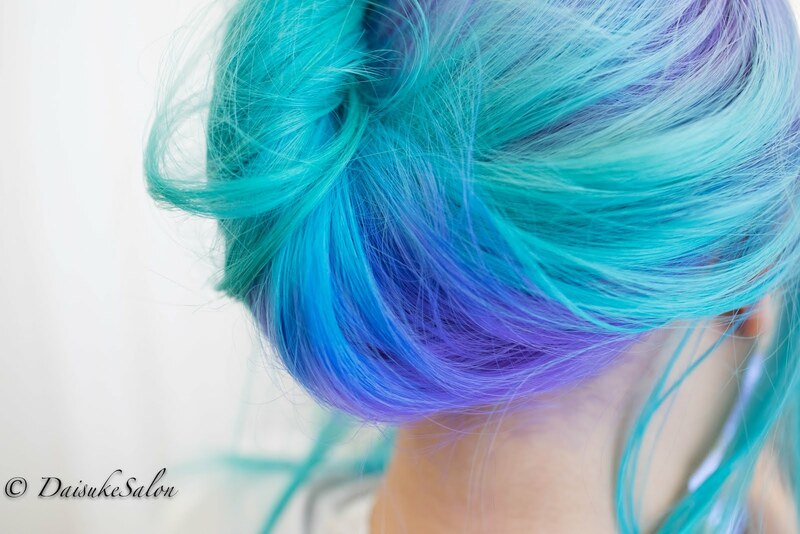 Hair manicure - Requires 1-2 rounds of bleach depending on the colors you are requesting for- example dark blue or light blue. The downside of hair manicure is it is difficult to change color in the future especially if you have previously done warm base color and would like to go for colder hues. Color butter is definitely more suitable for those who frequently like to change their hair color, both dyes are low maintenance, it's just that the other 2 lasts extra longer compared color butter. Depending on your needs and hair texture, our stylists will first consult on your hair condition and recommend the most suitable methods to achieve your desired hair makeovers. 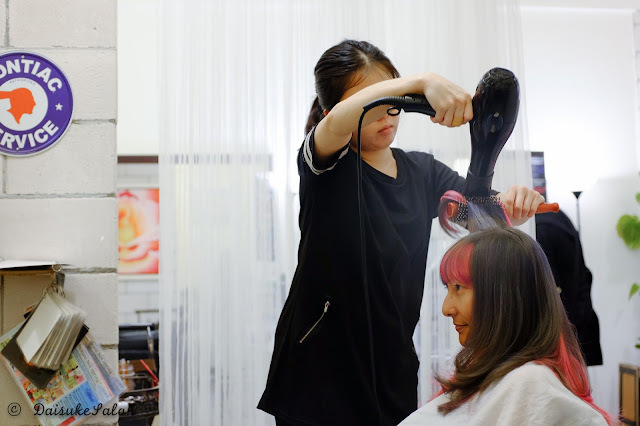 We are currently having an in-house promotion for our senior stylists, price starts from RM250 onwards, so do take advantage of our promotion to tryout our services today! An upclose picture of the colors and also showing how we maintain our customer's hair texture healthy at all times despite bleaching. Our satisfied customer loving her new makeover!